Every time you start a new application, you create one or more processes. A process is simply executable code that is loaded into memory. The CPU reads and executes the instructions to perform the tasks you ask the application to do. When the CPU loads your application into memory, it assigns each process the application creates a Process IDentifier (PID), which is pronounced pid (think of lid with a p instead of an l). The PID is simply a number associated with the process for easy identification. The executable code is behaving differently in the debugger than it does when executed as a regular application. Instead of working with a debug version, you want to debug the release version. It’s important to see the disassembled code as it loads in memory. You don’t actually have source code to load into the debugger and execute. Once you have a PID, you can use it to attach to the process in Code::Blocks. The following steps get you started. Open your copy of Code::Blocks using a technique appropriate for your operating system. 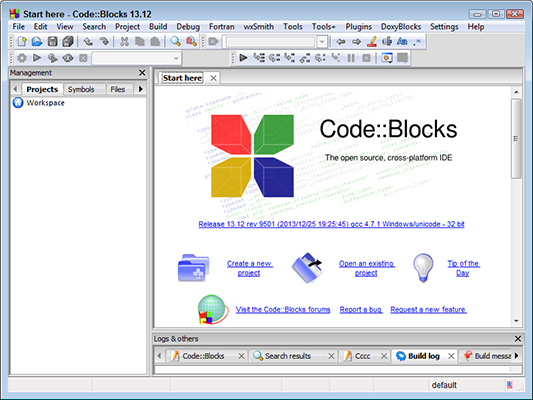 You see the Code::Blocks IDE open with the Start Here tab opened. The Input Text dialog box appears. 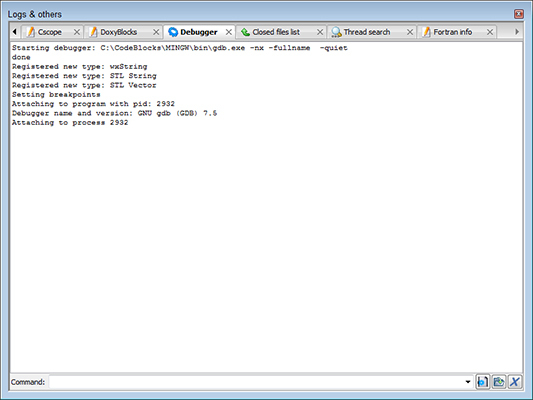 Type the PID in the PID to Attach To field and then click OK.
You see the Debugger tab of the Logs and Others window appear. This tab contains information about the current process. You can type commands in the Command field to perform debugging tasks. Break: Stops application execution so you can examine the application state. Step: Steps one source line (which may be several assembly lines). Go: Continues application execution to a specific point in the code. Detach: Detaches a previously attached PID so that you can safely shut the debugger down. Help: Displays additional command information.